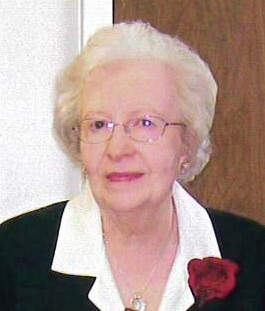 Doris Veronica Stickney, 96, of Albemarle, passed away Monday, April 8, 2019 at Bethany Woods Nursing & Rehabilitation Center in Albemarle. Doris was born August 29, 1922 in New York State to the late Leslie Henry and Mable Frances Premo. In addition to her parents, she was also preceded in death by her husband, Maynard Francis Stickney; brothers, James Premo, Phyllis Gorman; and sister, Ann Dodge. Doris was survived by her sons Alan Craig Stickney and Bruce Maynard Stickney. Doris was a dedicated and long time member of Christ Episcopal Church, where for many years she was in charge of organizing the church kitchen and many of the events at the church. She was once honored by the Most Reverend Michael Curry, then the Bishop of North Carolina, for her work with the church kitchen and in arranging receptions for Episcopal visitations. A committal service will be held on Saturday, April 13, 2017, at 3:00 pm, located at Stanly Gardens of Memory Chapel Mausoleum, 2001 East Main Street, Albemarle. Memorials may be made to Christ Episcopal Church, 428 Pee Dee Ave., Albemarle, NC 28001 or Homes of Hope, 1816-B East Main Street, Albemarle, NC. 28001.